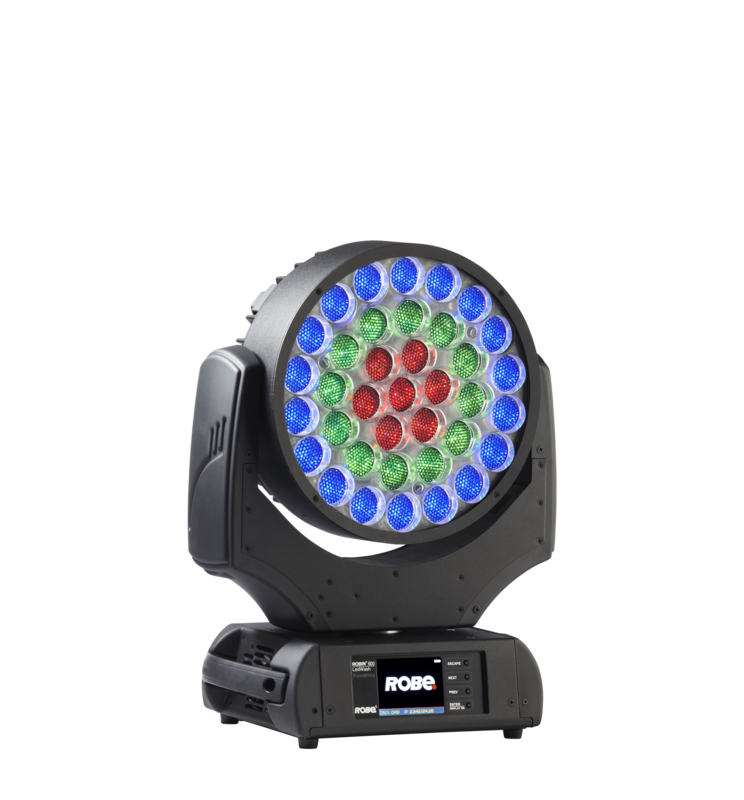 The Robe Robin LEDWash 600 features 37x 10 Watt RGBW multichip LEDs with colour output ranging from gentle pastels to the richest saturation. These LED’s can create the most beautiful of audience connecting displays with the smooth and even coverage you are looking for. This versatile unit is equipped with 15 – 60 degree motorised zoom, powerful fast strobing and pre-programmed pulse strobe effects. The LEDWash 600 is steps ahead of other LED’s in the field and is the perfect accompaniment to your event design. Production Hire own a state of the art Robe Robin LEDWash 600 for dry hire to support your live music event. Call or contact us for your free no obligation quote regarding Robe Robin LEDWash 600 dry hire. One of the Production Hire team will be happy to help.